Today, Halloween snuck up on me and I am currently costumeless. I usually enjoy flexing my creative muscle through building an elaborate costume from scratch, however this year time is not on my side. But I just can't bring myself to buy one of those pre-made plastic costumes. Putting together something homemade always takes longer than you think it will, and can become a little expensive when all is said and done. So, I did some digging for easy costumes that with a quick trip to a thrift shop (and a little bit of creativity) can be built around what you already have in your closet. 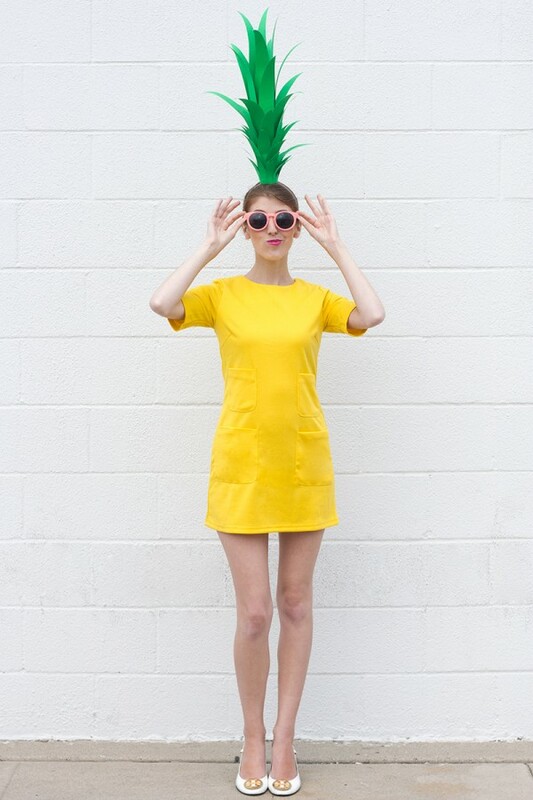 With just a couple of hours of effort, you can make it to that Halloween party with a DIY costume you’re proud of. I thought I would share some of my favourites that I came across today. 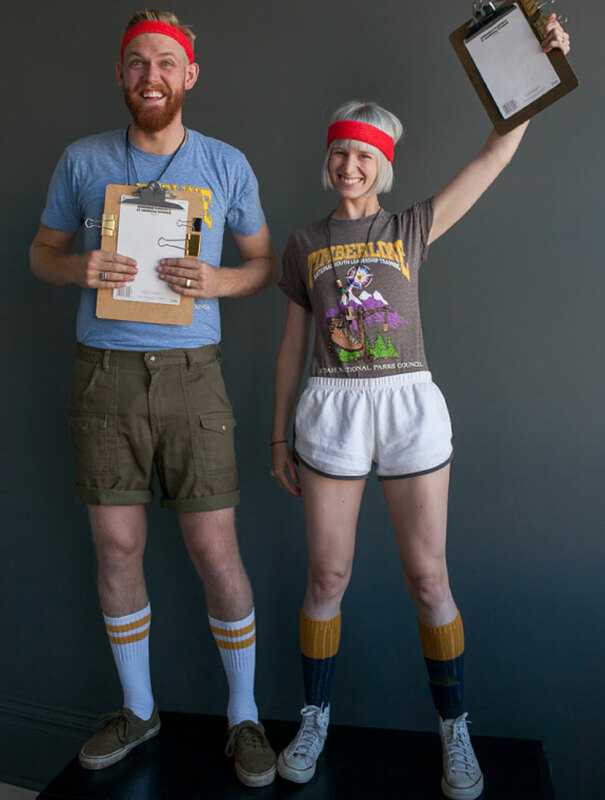 With an old camp t-shirt, shorts, a pair of tube socks, a whistle, and a clipboard, a Camp Counsellor costume is so easy! This one can fly solo or works great as a couples costume. Its not uncommon to see people wearing elements of this look on the regular. 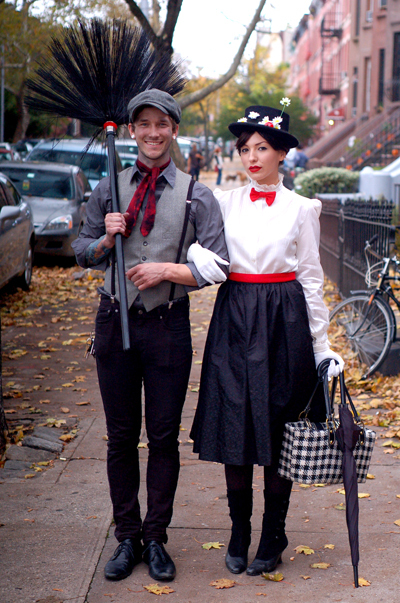 A Mary Poppins and Bert couples costume can probably be easily accomplished with clothing you already own, supplemented with a trip to Value Village for the extras. A glam skeleton costume just takes some black and white makeup and dark clothing. There's gotta be several YouTube tutorials for skeleton makeup out there, or use your own creative flare to come up with your own. 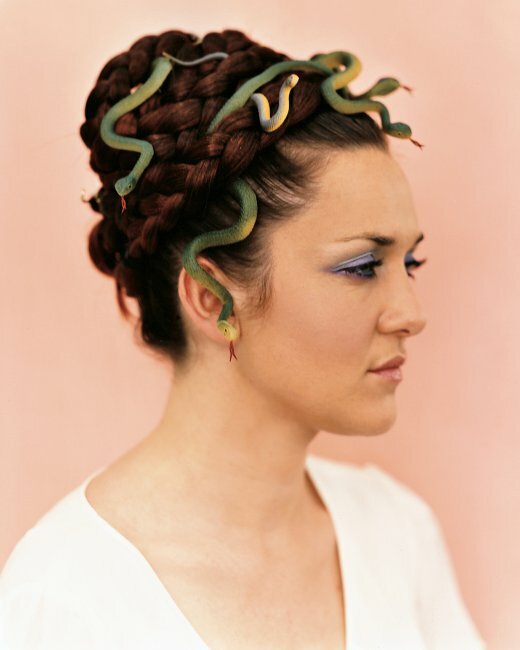 This Medusa look can easily be achieved with a few rubber snakes. The tutorial is here. Pair it with a white or black dress and you're good to go. 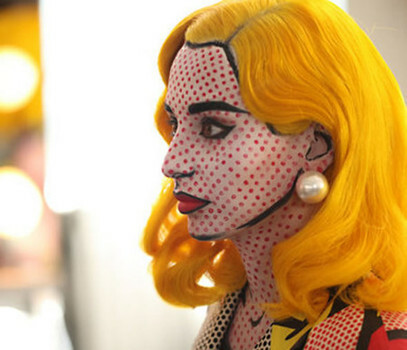 A pop art makeup look will turn a basic bold blazer into a great costume. Step by step instructions can be found here, or there'll be heaps of video tutorials out there for this sort of thing. 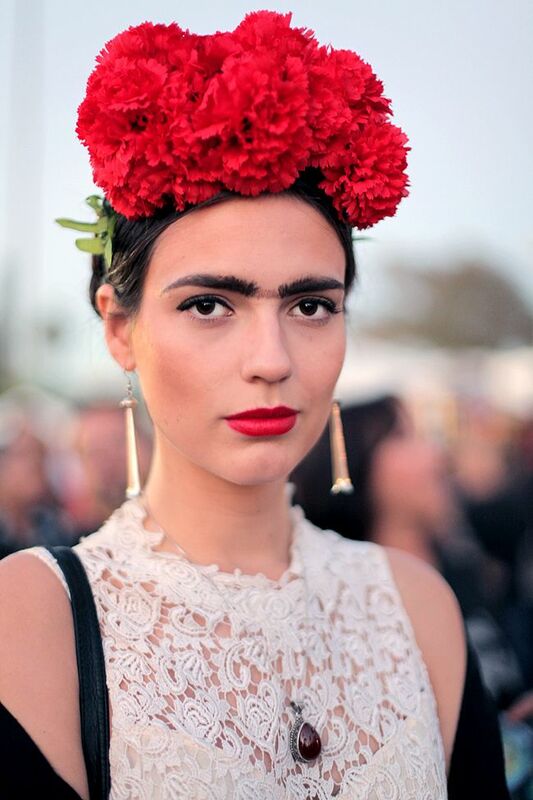 With a few faux flowers and an eyebrow pencil, get the Frida Kahlo look with a flowy belted dress and some jewelry. 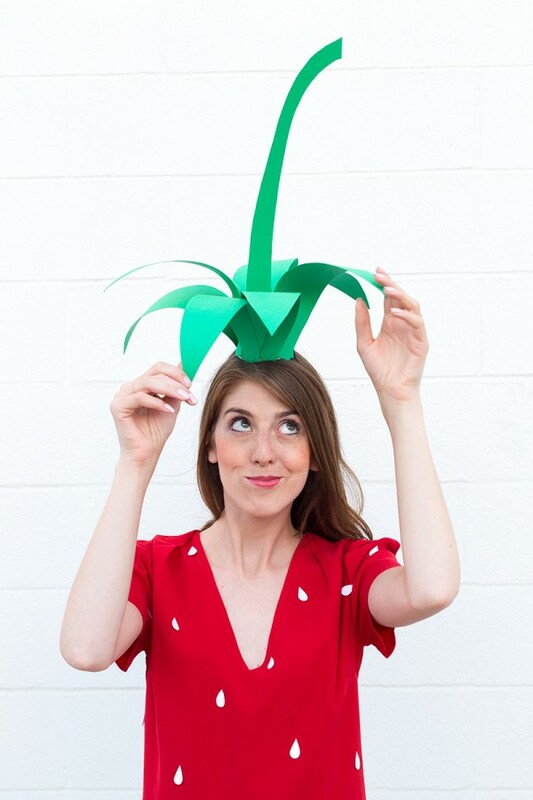 A red shirt or dress and some cardboard are all it takes to become this cute strawberry. Combine the two looks for an adorable buddy costume. Pineapple tutorial is here. 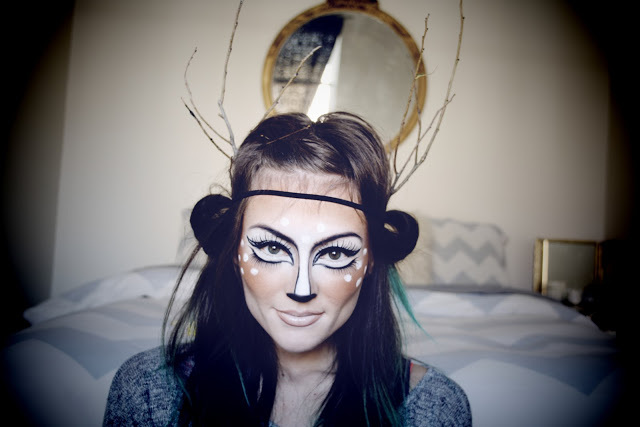 You could also pair the deer makeup look I shared previously with a pal in some hunting gear for another easy couples costume. I hope these ideas inspired you to create your own unique costume! Have a fun and safe Halloween weekend! 1. 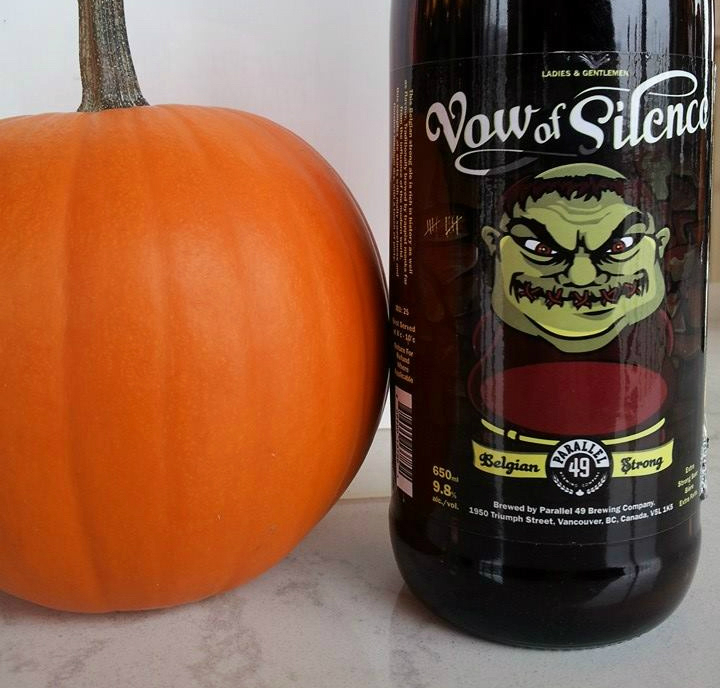 Ingredients is sampling Halloween craft beer from 3pm to 6pm today. 2. You can make your jack-o-lantern last longer with these tips. 3. Visit Leyda's for dinner tonight, and you will receive a complimentary Halloween appetizer with your dinner entree! 4. Pumpkin seeds are delicious and nutritious. How to remove that tough outer shell for maximum enjoyment. 5. 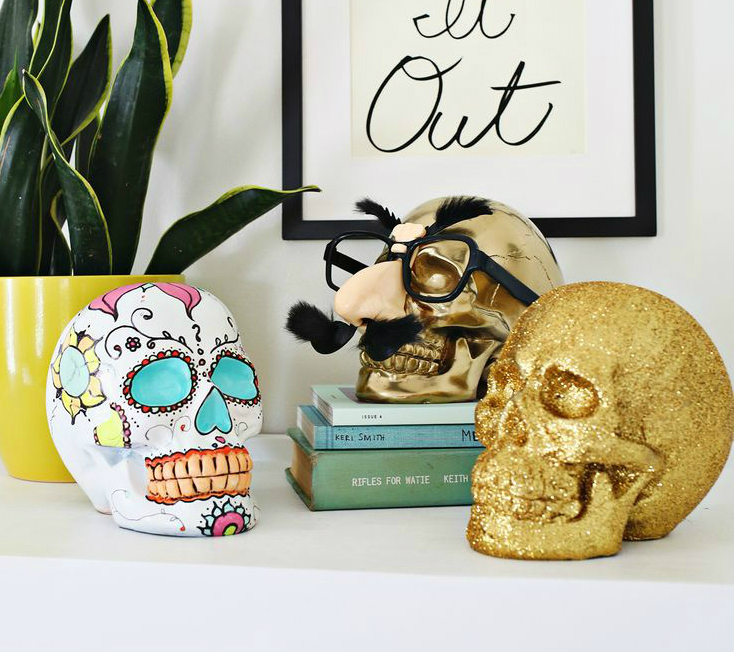 Plastic skulls paint up just as beautifully as pumpkins. Here's some inspiration. While browsing online the other day, I came across the hashtag #hautehalloween. For those of you who are unsure, haute (pronounced ‘hote’) means “high” en français, and commonly describes something that is fashionably elegant. Images associated with this hashtag made me realize that the drama and mystery of Halloween can inspire visually stunning and unique style that is most (or only) fitting this time of year. 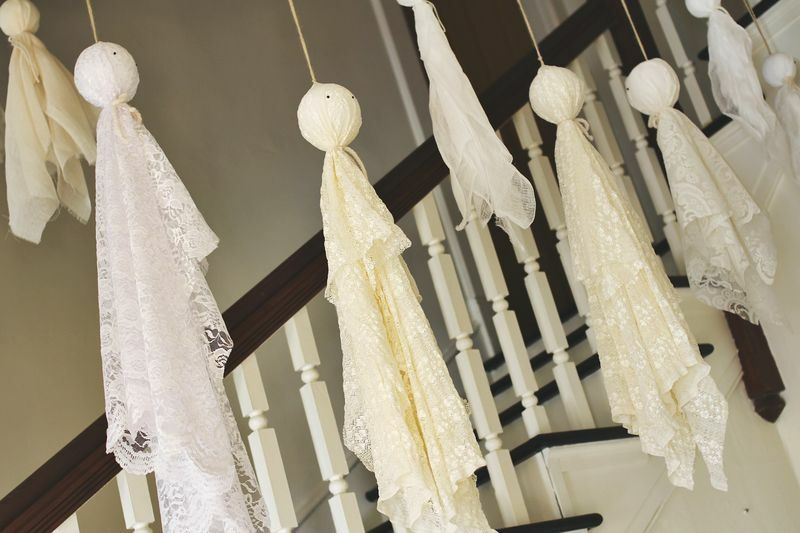 So, I've put together a few of my favourite Halloween DIY ideas that I subjectively deem to be "haute", and not scary or gory. I just love this eclectic little cluster of items, which totally bucks the typical black and orange. 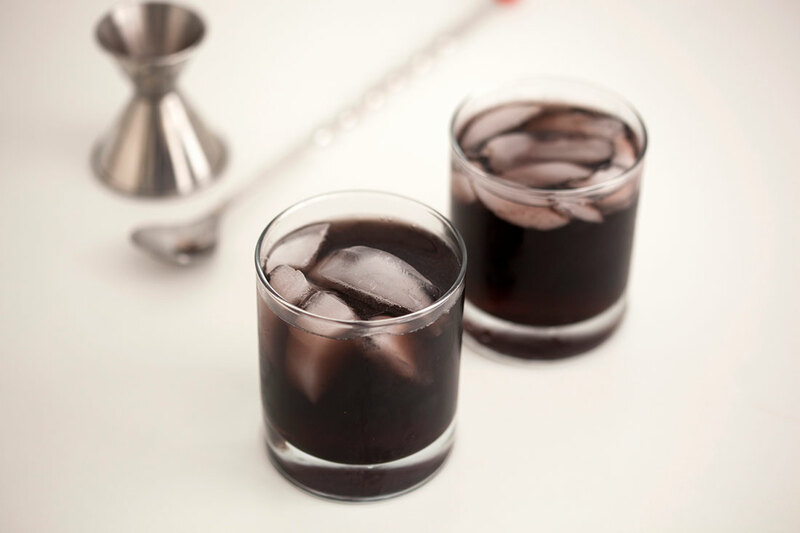 This black cocktail adds a sophisticated, understated element to your Halloween party. The recipe is here. 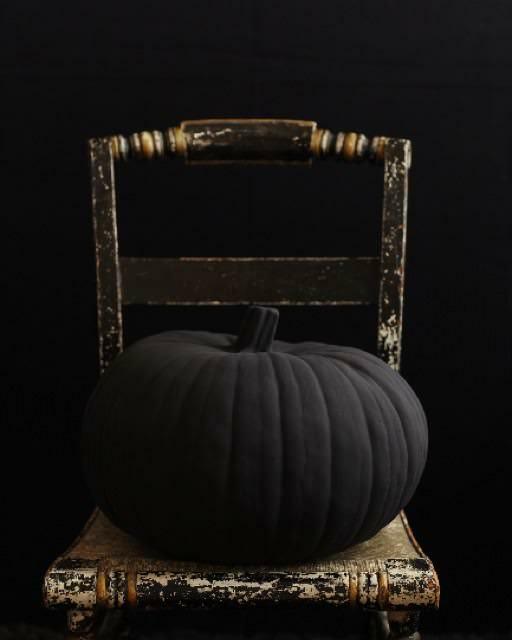 Matte black is all the rage right now, and transforms an orange plastic pumpkin into this ultra glam, whimsical home decor piece. The tutorial for the DIY is here. If you're looking for an easy last-minute costume idea, this one is one of my favourites. 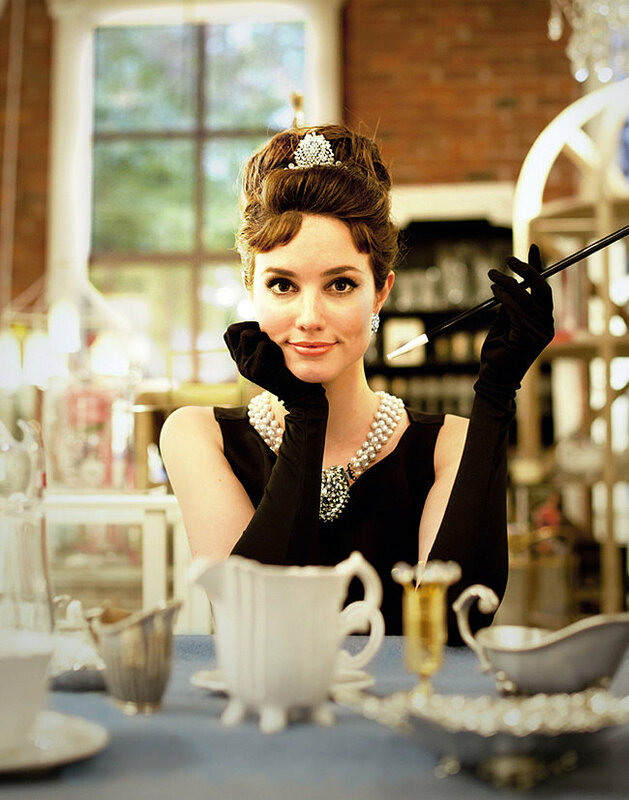 Back Then & Again has some great jewelry pieces to pair with this look. 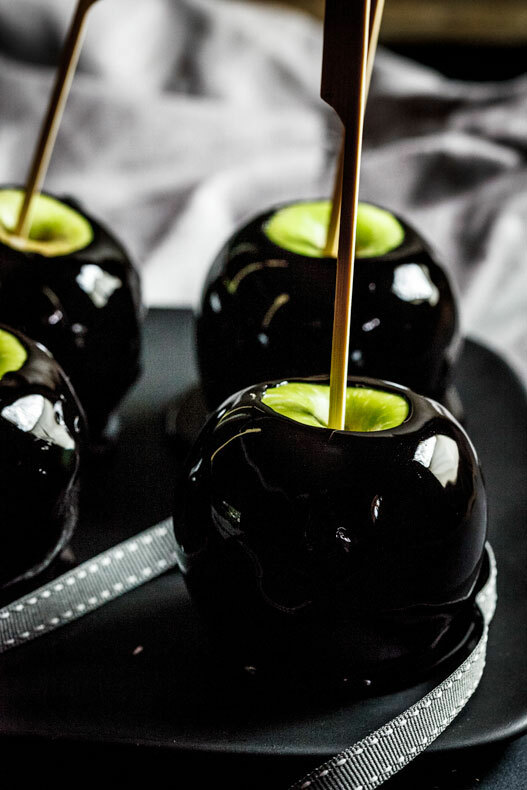 I just love the look of these glossy black poison apples. If you have a steady hand, let this lovely makeup look take centre stage and pair it with a simple beige or brown top for an easy and chic Halloween look. I hope these ideas inspired you, as they did me. There's just something about these Halloween decor elements, party treats, and costume looks that I absolutely love. Enjoy your Halloween and all the fun and fantasy that comes along with it! 1. The University of Saskatchewan's Ghost Walk is this evening at 6:45. 2. 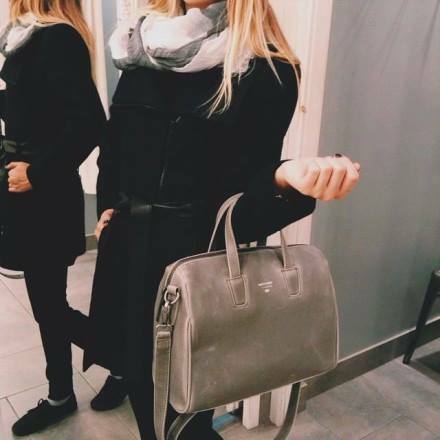 Twisted Goods is starting to sell out of these gorgeous bags, so get yours while you can! 3. You can reverse that laundry mishap with these unshrinking methods. 4. Glass Doctor recently shared these tips for winterizing your home. 5. 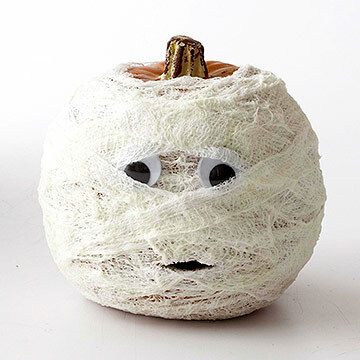 Your kids will love this cuuute no-carve mummy pumpkin DIY. Looking for something Halloween-ish to do this week in Saskatoon? A few fun events on our radar are listed below. Do you know of any other happenings this week or weekend? Let us know! Take this guided walking tour to learn about the spooky U of S history. Children are welcome, but those under 10 years of age must be accompanied by an adult. Space is limited, so reserve your spot online. Refreshments will be provided after the tour! Warm and safe Halloween fun for the whole family! Gather your friends and give back by joining this Canada-wide event! Contribute to this initiative by going door to door asking for non-perishable food items and raising awareness of hunger in Saskatoon. Last year over 250 volunteers collected and donated 7500 pounds of food for the Saskatoon Food Bank! Bring your jack-o-lantern to be lit up one more time down by the river. Show off your pumpkin carving talents while enjoying camaraderie and a warm bevy! Hosted by the Nutana Community Association. Have fun and stay safe this week! 1. Pink Cadillacs just launched a new fall menu. Yumm! 2. Purchase the amazing new pet-friendly carpet at Braid Flooring, and you'll be supporting New Hope Dog Rescue! 3. How to get red wine out of anything. 4. Fun Halloween decor and more here. 5. Throwing a Halloween party this weekend? Wow your guests with glow in the dark pumpkins. We were browsing a few home decor blogs this week and just loved some of the styles that are showing up in popular fall 2014 designs. It seems that there is something trending right now for almost any taste, from the simple to the eclectic, and from brights to whites. Here are a few of our faves. 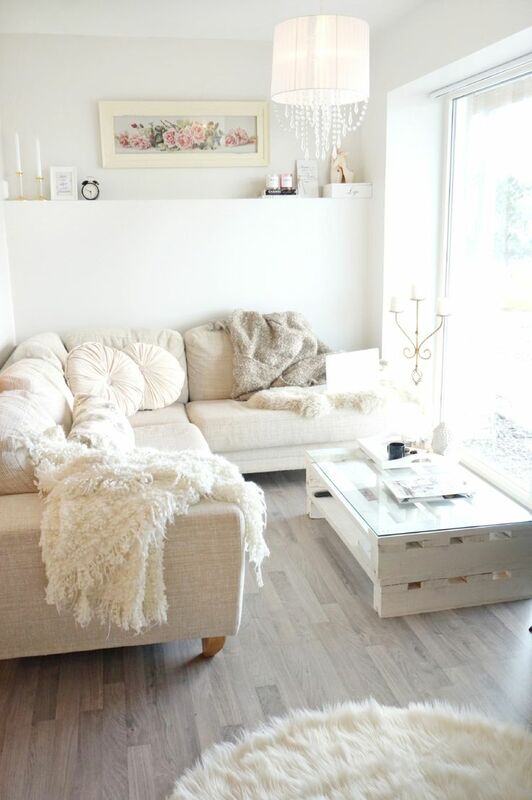 In an airy home with lots of light, this look would be simply stunning. At Palliser Rooms EQ3 you can choose your fabric and colour to customize your new sofa to meld perfectly with other shades of white in a room. Naturally shock absorbing and insulated, cork is soft and comfortable on your feet. Available at Floorit.ca on 51st, this trend is environmentally friendly and adds a beautiful, natural touch to a space with a minimalist vibe. This style gives you the freedom to simply display the things you love. With this look, the more whimsical and eclectic the better. 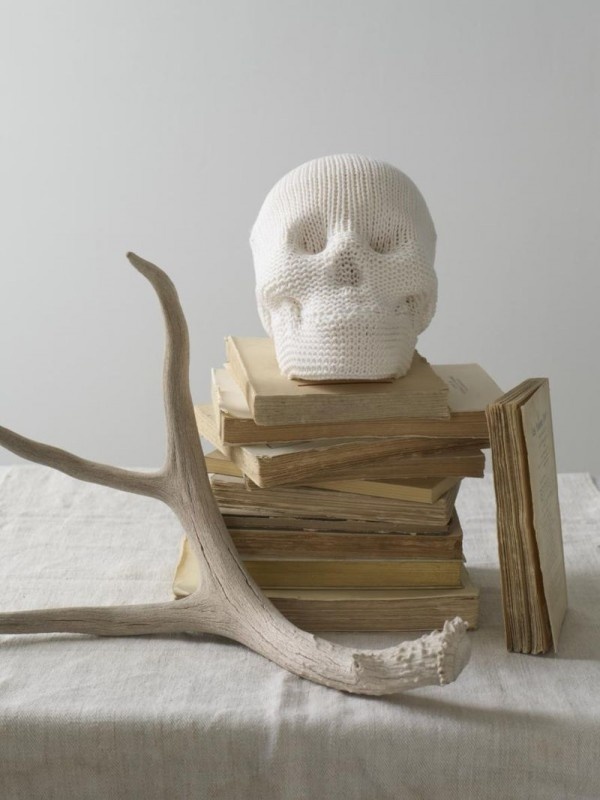 Check out Twisted Goods for some great unique items to group together on your shelves or table tops. This concept adds such a striking element to any room, and can be accomplished with furniture, art, or paint. One of the easiest ways is to introduce a deep wall colour that contrasts with the furniture and decor of a room. Exclusively in Saskatoon at Braid Flooring & Window Fashions, the Farrow & Ball paint line is perfect for rich colours. Durable and water resistant luxury vinyl plank flooring provides the sought-after look and feel of wood, but is child and pet friendly. Carpet Superstores carries a great selection of vinyl plank that has been created to have not only the look, but the feel of rustic boards with woodgrain, knots, and distresses. 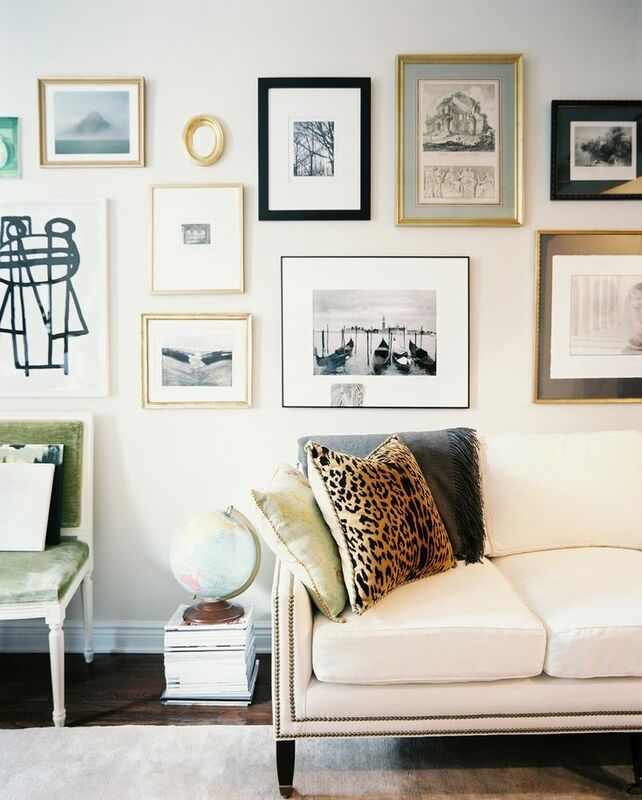 One of the most stylish ways to display your memories is with a cohesive gallery wall. Stop by J&S Picture Frame Warehouse with your favourite photos of your family, your travels, or a few art prints you love. Sherry and her staff will help you design and create a gallery wall that will become a beautiful conversation piece in your home. We hope you'll take some inspiration from this little list. When it comes to home decor, the most important thing is that your space represents your personality and fits with your lifestyle. Stay true to what you really like and, in our opinion, you can't go wrong! 1. Today, after 7 months of aging in tequila barrels, Cactus Tap becomes available at Prairie Sun Brewery! 2. 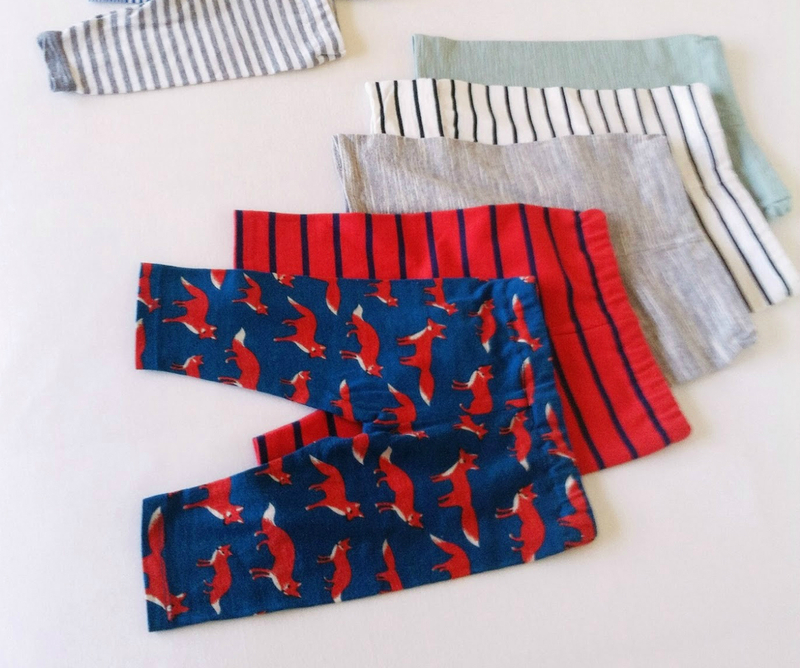 Make your own baby leggings from recycled t-shirts with this fun DIY. 3. Get all your nutrition questions answered at Believe Fit's active nutrition seminar on Sunday. 4. You can overcome your fear of flying with these simple methods. 5. 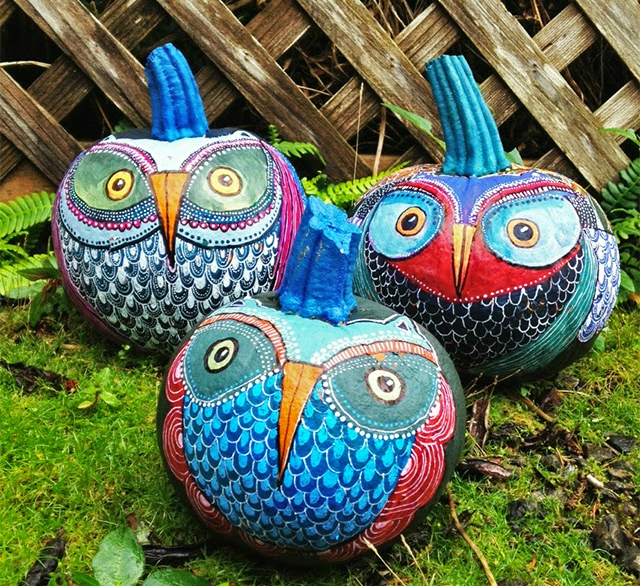 For those feeling ambitious, here is the ultimate painted pumpkin inspiration. After several days of beyond beautiful weather in Saskatoon, looking out my rain drop spattered window this morning was a little bit of a downer. Within a few weeks that rain is bound to turn white, and the Farmer’s Almanac is predicting a colder and snowier winter than usual. Dang. But then I remembered how much fun it can be to embrace cooler temperatures! Warm blankets by the fireplace with a hot cup of tea after a hearty meal- its these sorts of things that make the first snowfall a time for celebration. The change in season also brings forth new opportunities to support amazing local Saskatoon businesses. I’ve put together a little list that I hope will inspire coziness as we head into sweater weather in Saskatoon. 1. Tucking into one of these quick and cozy meals at home. 2. Staying warm with an adorable knit headband from Twisted Goods. 3. Cuddling up in front of an electric fireplace from Warm & Art. 4. 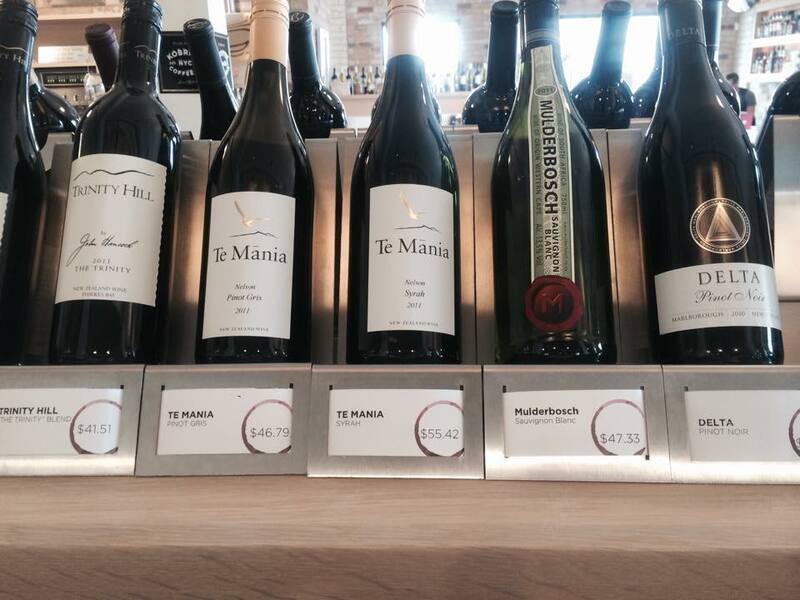 Picking up a bottle of wine at Ingredients and sharing it near said fireplace. 5. Enjoying the luxury of an Equipment cashmere sweater from Era Style Loft. 6. Installing a Dynamic Bath massage tub for the ultimate at-home warmth and relaxation experience. 7. 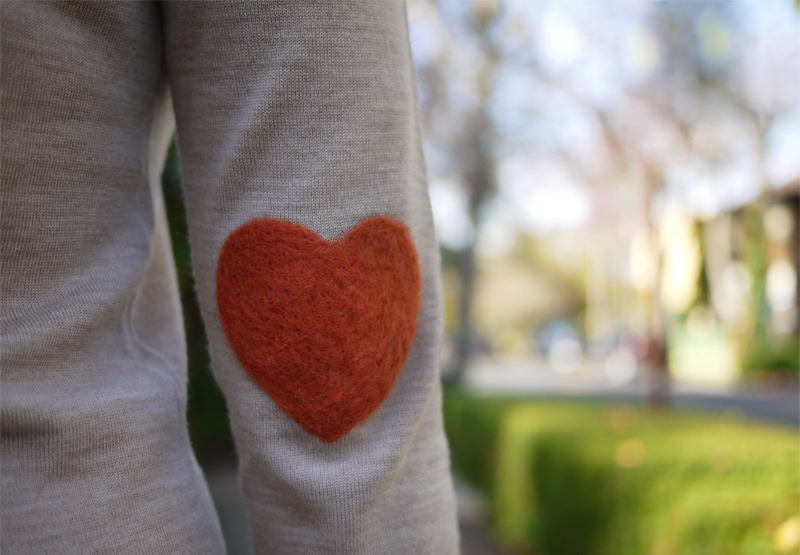 Trying this cute felted elbow sweater DIY. 8. Sampling the seasonal delicacies on the fall menu at The Hollows or Leyda's. 9. Rocking a DIY faux fur vest, with a vintage brooch from Back Then & Again. 10. Taking a friend for a creamy latte from Collective or City Perks. What are your favourite ways to stay cozy during the colder months? 1. Poutine + Beer tonight at The Hollows. 2. 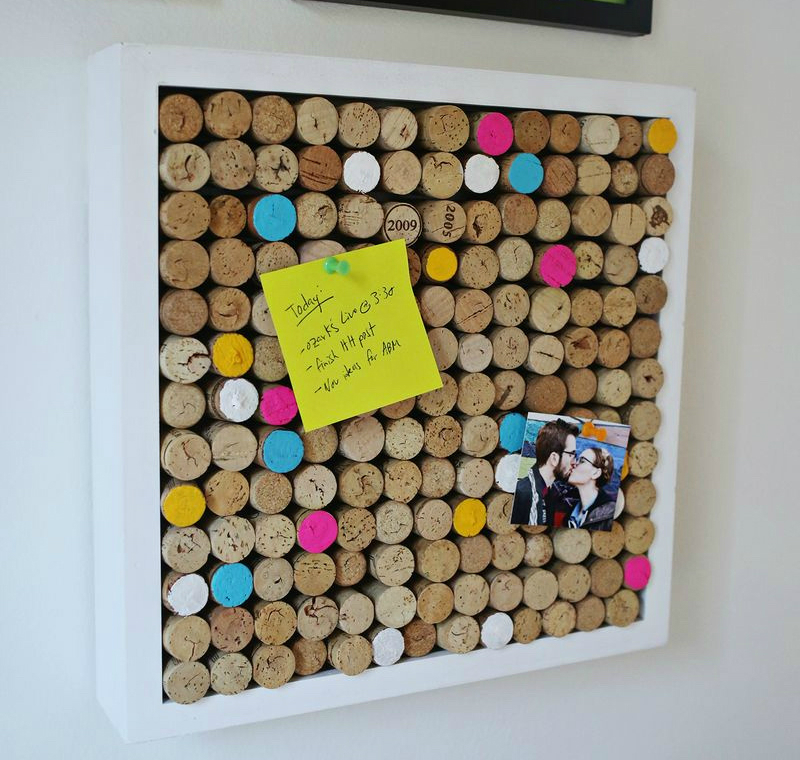 This fun wine cork bulletin board DIY will add personality and pizazz to your office or kitchen! 3. Getting these these four things started now will make your life a lot easier come December. 4. A lint roller is great for picking up broken glass (this tip brought to you by Glass Doctor). 5. 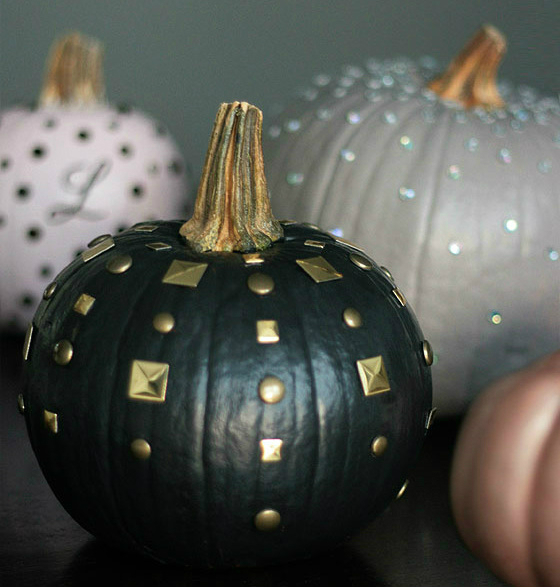 These "edgy chic" pumpkins are a must for any fashionista's front step.